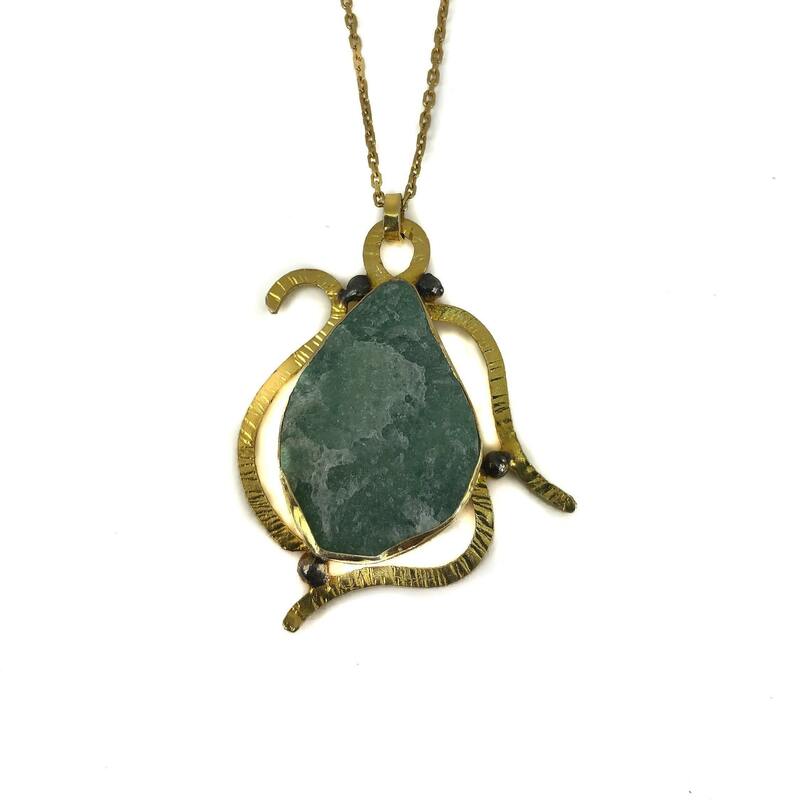 AVAILABLE FOR IMMEDIATE SHIPMENT>>>Beautiful Raw Aventurine Necklace. Gold plated over silver. 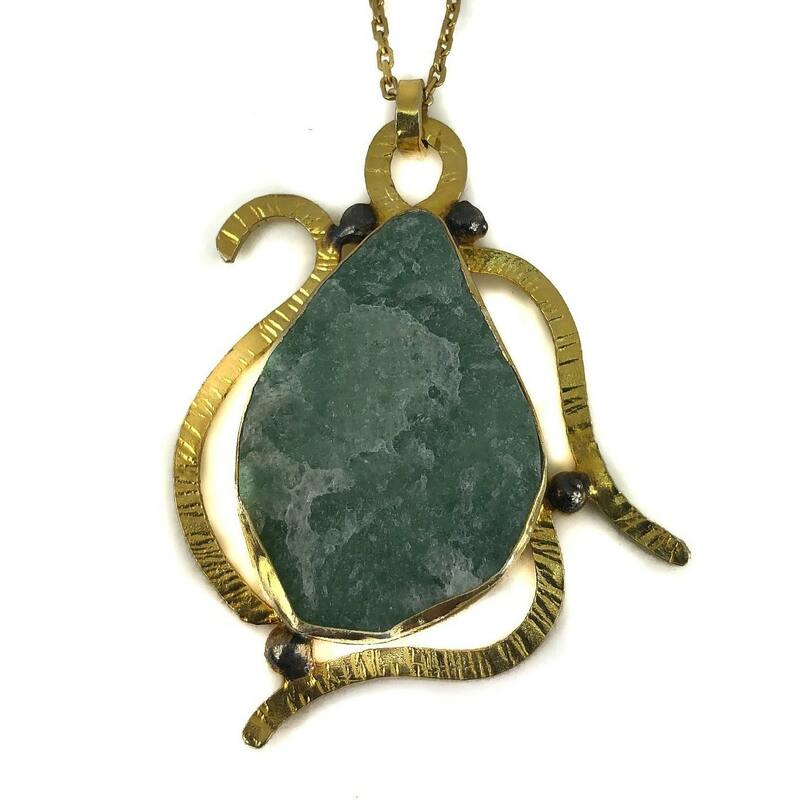 Amazing Turtle necklace in green raw aventurine. Simple and beautiful.